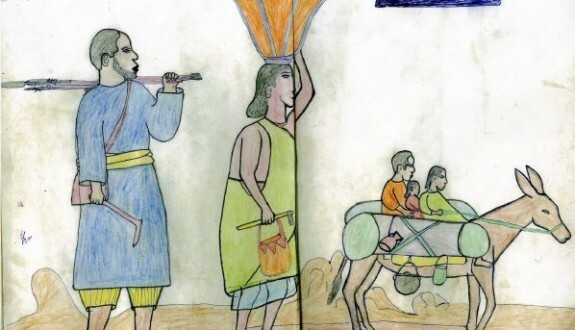 Pleas join us for this one-day free exhibition featuring powerful children’s drawings from Burma and Sudan. The event is co-sponsored by Humanitarian Aid Relief Trust (HART) and Waging Peace and put on by HART Ambassador, Kevin Tobia. The drawings from Burma were collected on visits by HART to their partners in the Kachin State of Burma. The pictures from Sudan were collected by Waging Peace, from Darfuri children living in refugee camps in Chad. These drawings are commanding and moving, providing an insight into the lives and minds of children living in contexts of war, conflict and oppression. Please do come along, view the pictures, read the stories and support the work of HART and Waging Peace.